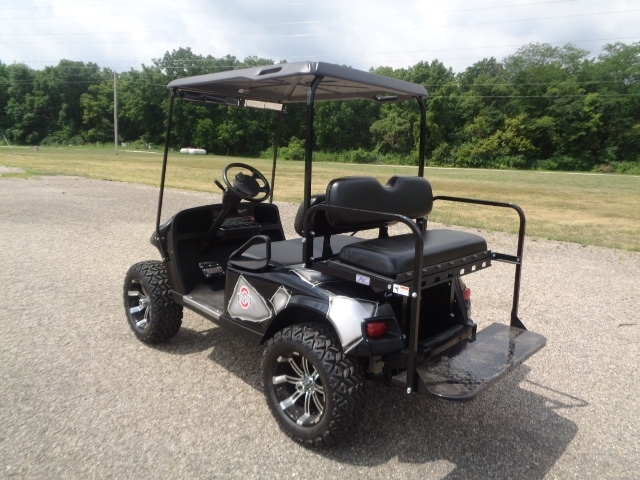 Do you need used golf carts for sale in Ohio? Are you an Ohio State fan? If yes, then we have a great find for you! Here at 56 Auto Sales London, we have a variety of used cars in Springfield Ohio. If you take pride in being a fan of the Buckeyes, then you will be proud to drive this used golf carts for sale. You can, of course, drive it around at the golf course, or campgrounds when you take the family camping, or around your neighborhood (if allowed). Your friends who are also Buckeye fans will be so jealous when you come pulling up in your customized golf cart. There's nothing better than having something you need or want, also already customized with a logo from your favorite college team. How is that for luck? If you are alumni and graduated from Ohio State or just merely a fan, this is a beautiful find for you. 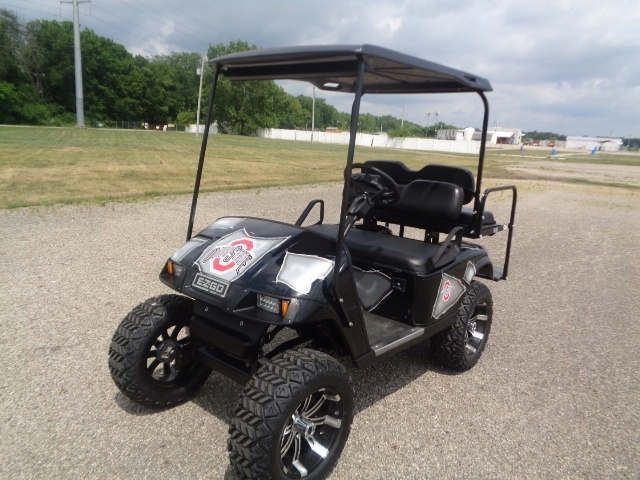 You can cruise the golf course, or wherever you like to take your golf cart for sale near you with a smile on your face as your friends and others who may be Ohio State fans take a gander at your golf cart. If you have children or grandchildren and they would like to putz around in a golf cart, this would be a fun(safety first) and a good buy for your family. Maybe you have a house at the beach, or the lake, and like to drive a golf cart around to the local ice cream shop, or neighborhood store, this is an excellent way to do it. We here at 56 Auto Sales London not only have this fabulous golf cart for sale, but we also have many other used cars in Springfield. So no matter if its a car or truck, SUV or minivan or even a dump truck, we have so many different types of used cars to look at here at our dealership. We want our potential customers to be happy when they stop by our dealership by offering a wide variety of used vehicles, so no matter what you are in the market for, we are sure to have something to match those needs. We take pride in the cars we put on our lot because we know that customers like yourself are looking for cars, trucks, and other vehicles like we have for sale.